4/1/2009 – Are you baffled by the global financial crisis? Are the contradictory statements put out by various experts confusing you? Then listen to this interview with one of the world's leading economists, Kenneth S. Rogoff, who very lucidly explains the current situation, its causes and its possible remedies. Ken is also a chess grandmaster, and in 1972 he played the following jewel of a game. Here's an interesting 20-minute interview that appeared recently on a highly rated national public television show, Now on PBS. 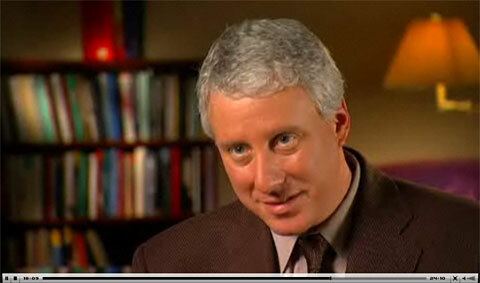 David Brancaccio talks to Kenneth Rogoff, Harvard economics professor and former chief economist of the International Monetary Fund, about how high one should raise one's hopes and what's at stake for America and the world in a global financial crisis that took everybody by surprise. It is a candid interview, and fairly easy to follow – one that no concerned citizen should miss. Ken Rogoff: "Basically what needs to be done is pretty clear: you don't let banks take risks thirty and forty times the amount of money that they have, and tell the government they have to pay for it if something goes wrong." "It is very disappointing to me with the new administration, who have a wonderful economic team, that they have not taken the bull by the horns, yet. They are sort of wishing it away. The wish the economy would get better, they say that things are bad, but they are going to get better. They are not going to get better soon..."
"Prof. Rogoff, I have it on good authority that you are really good at chess?!" (typical expression and incredulous intonation). 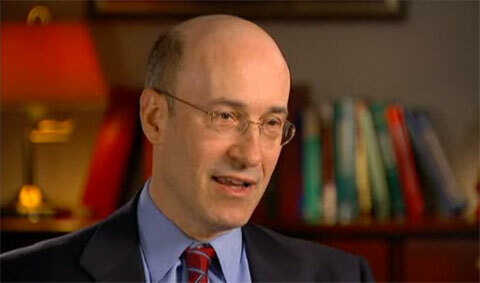 Rogoff answers: "Once upon a time I was a professional chess player, believe it or not." – "Seriously?!" – "Yeah, yeah, when I was a teenager and a bit at college." 5.Qxd7!? An incredibly deep sacrifice, the point of which only becomes clear half a dozen moves later. 5...Qxd7 6.g4 Qxd2+! Rogoff sees the danger hidden in Hübner's ultra-sharp play (we don't). He knows he has to return the material. 7.Kxd2. 7...Bxd2 was better: 7.Bxd2 Nxg4 8.Nc3 Nc6 9.h3 Nge5 10.b3 Rd8 11.0-0-0 and White, while still at a disadvantage, has a better game than after the text move. 7...Nxg4 8.b4. Hübner overlooks the double threat (...Bxa1 as well as ...Nxf2) to his rooks. 8...a5. Strategically sound. There is no reason to execute one of the threats immediately, since they will not go away. 9.a4. Trying to prepare an escape route for the rook. 9...Bxa1 10.Bb2 Nc6 11.Bh8 Bg7. We have asked the famous economist for his take on this somewhat baffling game, and will return to it in a few days.